With more than 40 years of experience, Keller Webster is a prominent business leader within the multi-family construction industry, leading many project teams to successfully completing hundreds of jobs throughout the United States. With an expansive construction portfolio that includes commercial and residential buildings, Keller’s focused expertise is in multi-family housing, which has resulted in some 200 multi-family housing complexes – approximately 25,000 living spaces – built throughout his career. Keller founded KWA Construction in 2004, with the mission of building first-class, multi-family housing developments while delivering the highest value at the right cost. Keller’s business practices include cultivating close client relationships to ensure visions become realities, as well as serving as an active community steward. To date, Keller and his team have completed a multitude of major multi-housing projects in Texas, while always meeting the most stringent budgets and adhering to revolving market demands. Prior to founding KWA Construction, Keller served as vice president of the multi-family construction division of Spring Valley Construction Company in Dallas, Texas. There, he established and grew the division into a profitable entity that managed multi-million dollar construction projects, all of which were completed on time and with gross profits exceeding original estimates. Throughout his career, Keller has held other key executive positions with highly respected construction companies, including Madison Builders, L.P., in Plano, Texas, First Worthing Company in Dallas, Texas, Lokey Construction Company in Houston, Texas, Texas Arcon Corporation in Temple, Texas and First Southwest Construction Corporation in Temple, Texas. He spent his earlier career as project manager and business developer for Austin Commercial, Inc., in Dallas, Texas, Campbell Building Corporation in Dallas, Texas. and Henry C. Beck Company in Dallas, Texas. Keller’s leadership within the construction industry has resulted in many honors, including appointment of life director of both the Dallas Builders Association and the Texas Association of Builders, and winner of the 2004 TAB “Multi-Family Builder of the Year” award. 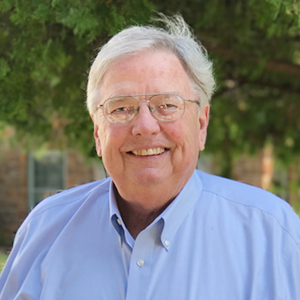 Keller currently serves as immediate past president of the Home Builders Association of Dallas, as well as continues to serve on the board of directors for the Dallas Builders Association and Texas Association of Builders. He has also served as president three separate years for the Dallas Multi-Family Builders Council. A former U.S. Army First Lieutenant that served in active duty, Keller received a bachelor’s degree from Texas A&M University and a master’s degree from Georgia State University. Keller is married, a proud father of two sons and proud grandfather of four.